American Trucking Associations and three carriers are asking a court to rule that Rhode Island’s truck-only tolling program is unconstitutional, according to a lawsuit they filed against the state’s Department of Transportation on July 10. Cumberland Farms Inc., M&M Transport Services Inc. and New England Motor Freight joined ATA in the lawsuit filed in U.S. District Court for the District of Rhode Island. The state’s truck-only tolling program violates the U.S. Constitution’s commerce clause because it discriminates against out-of-state trucking companies and does not fairly approximate motorists’ use of the roadways, they claim. The plaintiffs also are asking the court to permanently suspend the implementation or enforcement of the truck-only tolls as well as for attorneys’ fees. Gov. Gina Raimondo (D) launched the program in 2015 with the goal of generating additional funding for bridge repairs. The state’s bridges have consistently ranked among the most dilapidated in the country. “Since ‘RhodeWorks’ was first proposed, the trucking industry has been strong and united in opposition to this extortionate plan. We’ve warned politicians in Rhode Island that these truck-only tolls were unconstitutional and should be rolled back,” ATA President Chris Spear said. “It is unfortunate that Gov. Raimondo and her administration did not heed those warnings, but now we will see them in court,” Spear added. 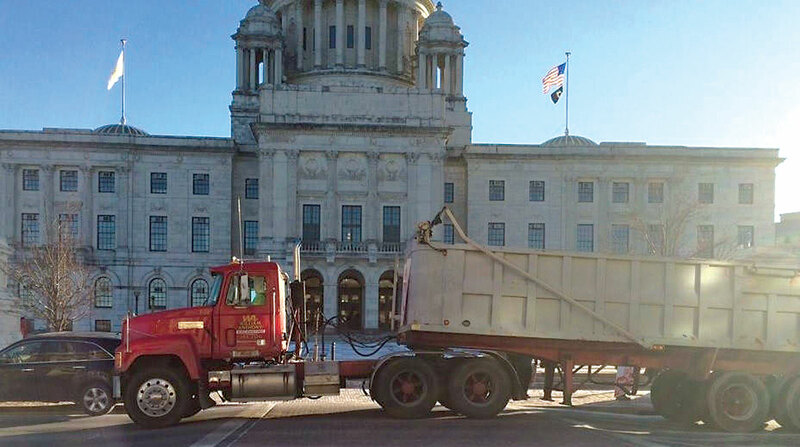 Chris Maxwell, president of the Rhode Island Trucking Association, has been pushing back on the program since its inception. The state DOT said it expected to receive the lawsuit and expressed confidence about prevailing. RhodeWorks tolls are being collected along two locations on Interstate 95. Eventually, tolls will be collected along 12 locations on I-95, I-195, I-295, U.S. Route 6 and State Route 146.